(Mary West for WakeUp World) Research has uncovered that shorter lengths of biological structures called telomeres are linked to mortality as well as many age-related diseases. The good news is that certain nutritional and lifestyle factors are associated with longer telomeres. Telomeres are the portion of DNA that is joined to the ends of each of the 46 human chromosomes in cells. Dr. Elizabeth Blackburn, one of the three Nobel Prize winners of 2009, has found a link between shorter lengths of telomeres and risk of diabetes, some cancers and cardiovascular disease, in addition to depression, dementia and osteoarthritis. So does this mean we are helpless victims of these biological tyrants in the form of telomeres? No. Although the structures shorten as a person ages, research indicates that abstaining from certain practices and engaging in others may influence the lengths of telomeres. Here are some factors that may slow the shortening process. 1. Lead a healthful lifestyle. In 2008, scientist evaluated the effect of a healthful lifestyle on telomerase levels. 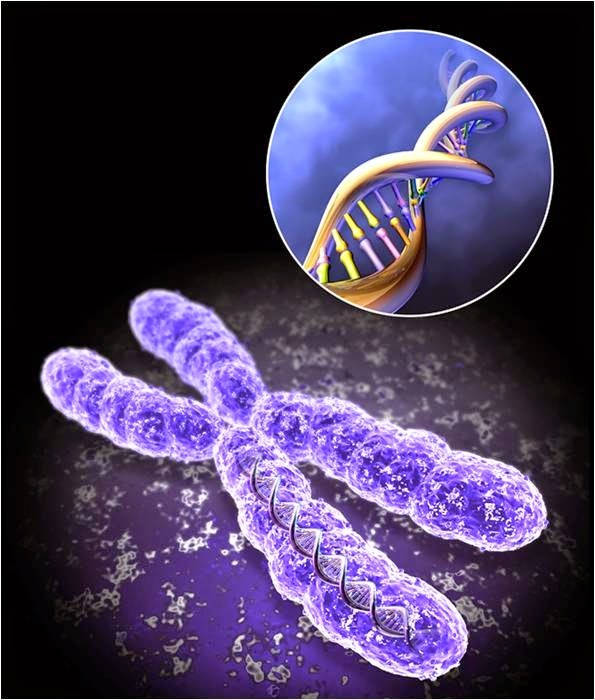 Telomerase is an enzyme that plays a vital role in the maintenance of telomeres. Without adequate levels of this enzyme, telomeres become progressively shorter. The participants in the study were requested to make several lifestyle changes, including eating a diet plentiful in whole foods, fruits and vegetables but low in refined sugar and fat. Additionally they were to regularly engage in moderate workouts, breathing exercises and relaxation techniques. The healthful lifestyle caused the blood levels of telomerase to increase by 29 percent. This practice may lessen the natural telomere shortening process that occurs over the years, says Dr. Theodore S. Piliszek of King’s College School of Medicine of the University of London. 3. Enjoy a glass of non-alcoholic red wine daily. A 2011 study showed resveratrol, a component of red wine, increased telomerase, which delayed the deterioration of cells. In addition, a 2012 study showed the compound increased the lifespan of mice. A daily glass on non-alcoholic red wine could be helpful. 4. Incorporate plenty of fish into your diet. In 2010, a study published in JAMA found that individuals with the highest level of dietary omega-3shad the lowest rate of telomere shortening, while those with the least levels had the fastest rate of telomere shortening. Some studies suggest that the polyphenols contained in dark chocolate may slow telomere shortening. 6. Drink three cups of tea a day. A Chinese study in 2009 found that those who drank three cups of tea per day had significantly longer telomeres than those who drank only a small amount. Green tea has a much higher percentage of valuable nutrients called polyphenols than black tea. 7. Abstain from smoking and alcohol consumption. Shorter telomeres correlate with both of these practices. Some research suggests stress accelerates the telomere shortening process. Practices such as massage, exercise and relaxation techniques can help siphon off anxiety.